Unwind with PJ Lobster House and Happy Hour! Written by PJ Lobster House on March 29, 2019 . Posted in Blog, Happy Hour. You’ve had a long day, and now it’s time to unwind and have some fun. Join PJ Lobster House every Monday and Friday for a one of a kind happy hour. Happy Hour starts at 3 PM and ends at 6 PM, giving you the perfect amount of time to come visit. We offer starters and happy hour specials that fill your belly while quenching your thirst and delighting your taste buds. 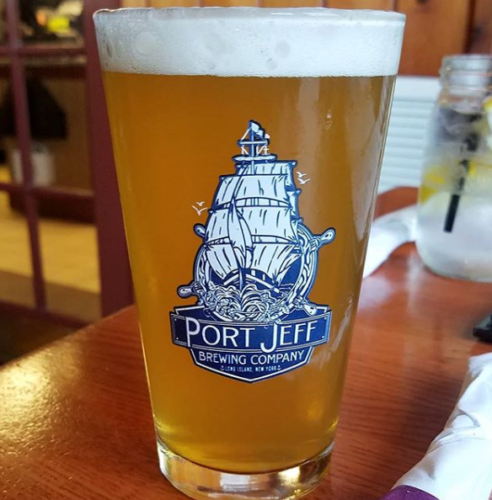 PJ Lobster House has a large selection of craft beers to choose from, including Port Jeff Orange Dream, Two Roads Road 2 Ruin Double IPA, Montauk Watermelon Session, and even more! Bottled beer includes Bud, Coors Light, Michelob Ultra Corona, Heineken, Stella Artois, O’Douls, and Sam Adams. Whether you prefer beer or cocktails, we’ll have something that will make your taste buds jump with excitement. Your mouth will water when you try the happy hour starters. Our delicious starters include oysters, clams, firecracker, and fried calamari, and fried shrimp. For the full list of our Happy Hour items, visit here. All of PJ Lobster House’s starters are fresh from the sea, making them the tastiest and most delectable around. Whether you’re here for the drinks or the appetizing starters (or both! ), you’re guaranteed a great time. With cheaper options for those on a budget, there’s a way to celebrate everybody’s happy hour. The staff is friendly and ready to serve you the freshest seafood and mouthwatering drinks. Your favorite seafood restaurant serves the freshest fare and doubles as an on-site fish market. After you’re done celebrating Happy Hour with us, make sure to step over to our fish market so that you can cook a delicious meal for your family. Come visit us for Happy Hour at 1 North Country Road in Port Jefferson or call us at 631-473-1143! We’ll see you soon at PJ Lobster House!